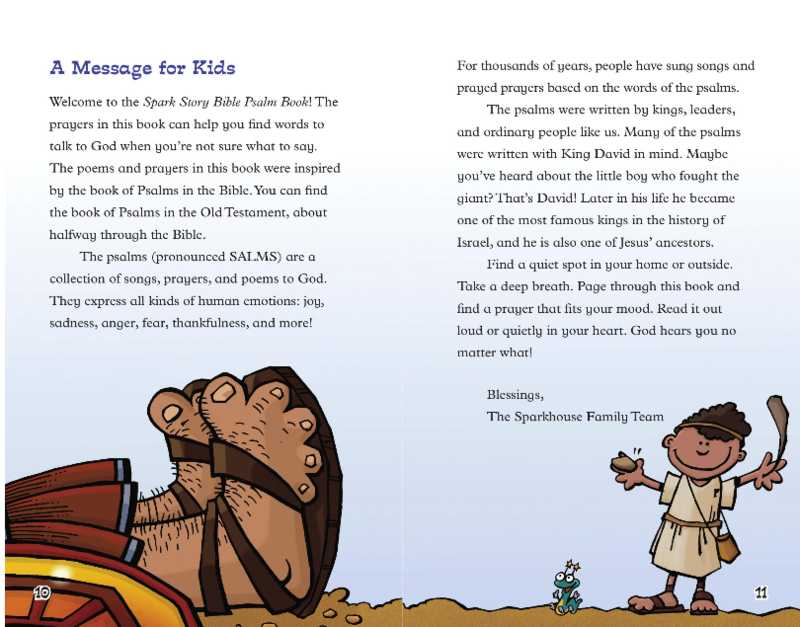 What was the inspiration behind the Spark Story Bible Psalm Book? Naomi: We wanted to develop a prayer book for children to go along with the beloved Spark Story Bible. As we thought about our options, we realized that focusing on the psalms was the perfect way to go. After all, people have been singing and praying the psalms for thousands of years. Wha t better way to teach kids how to pray? So we hired a group of talented writers to write prayers inspired by fifty of the most child-friendly psalms. What makes this prayer book unique? Naomi: The prayers are poetic and lovely, covering topics ranging from overcoming fears and facing bullies to expressing thankfulness and joy. 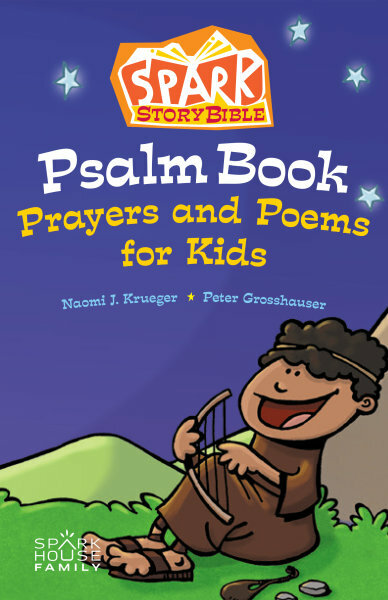 They take central themes of selected psalms and turn them into prayers that help children connect with God. It’s our hope that this Psalm Book will be turned to in times of need and in times of celebration. Through the psalms, children will learn that they can come to God with whatever is on their minds. Prayer can be intimidating at first, but it doesn’t have to be. The God of Creation wants to hear from us and wants to hear from children too! This book was developed for children ages 5-8, which includes a wide range of reading levels. Some kids will be able to confidently read this on their own, but others may need help. Parents could use these prayers as a bed time blessing or as part of family devotions too. I could also imagine this book being used in children’s ministry or during a children’s message at church. They really are versatile and could be used in any number of contexts. Tell us about the illustrations. Naomi: We wanted this Psalm Book to have the same look and feel of The Spark Story Bible, but knew we couldn’t just reuse the same Bible art. These prayers have so much rich imagery of their own. So the Spark Story Bible Psalm Book is illustrated by Peter Grosshauser, the same illustrator as The Spark Story Bible, but the illustrations are completely new. You will see children depicted from biblical times interacting with lush landscapes, city scenes, animals, and one another. It’s been really fun to work with Peter on these illustrations. One of my favorites is of a child jumping in a puddle during a rain storm. It is for a prayer celebrating God’s power in creation called, “The Song the Earth is Singing” from Psalm 29. In the rainstorm I hear you, Lord. I hear your mighty voice. Why did you decide to write the prayers as poems? Naomi: The original psalms are written as poems, so we wanted to mirror these prayers after that format. We also know that poetry can be calming and soothing for children, which is a major benefit of prayer. These poems aren’t overly cutesy and they don’t rhyme. We wanted these prayers to be taken seriously by children and we want the children who read these to know we’re taking them seriously too.